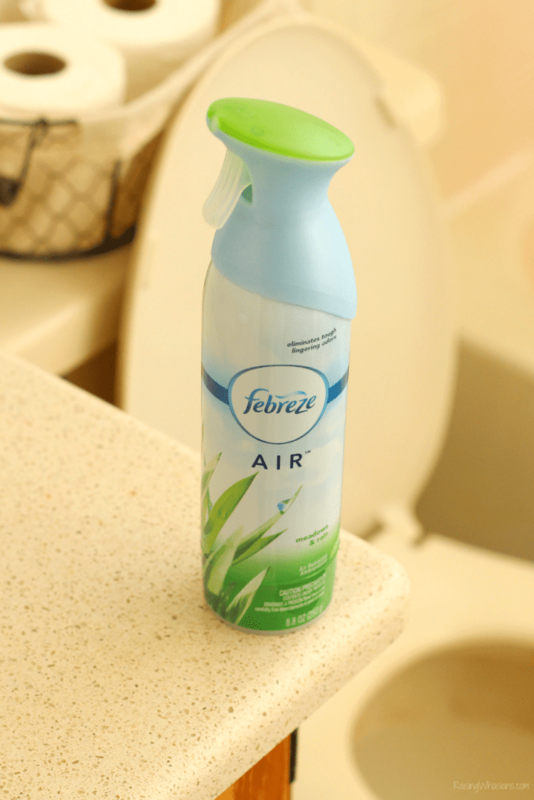 Keep Offensive Party Odors Away with Febreze! Party foul! 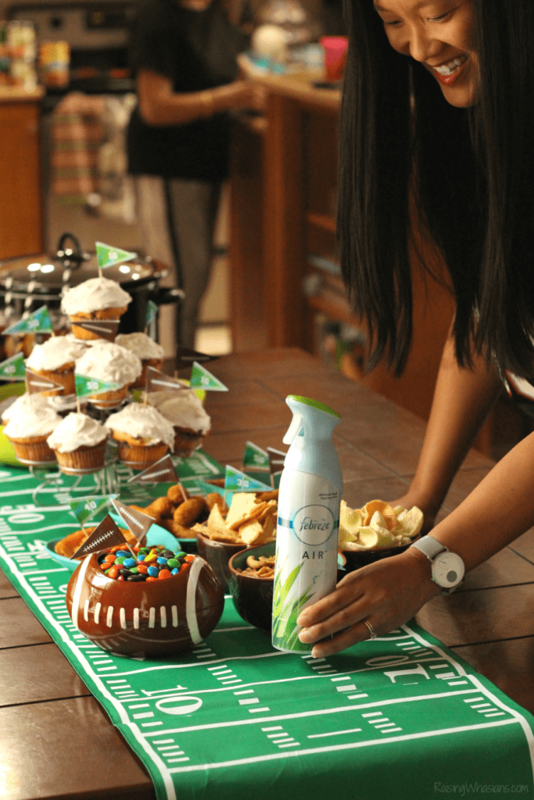 Did you forget to add Febreze to your football party shopping list? It’s not too late to stock up! Don’t make those stinky party smells the thing your guests remember. 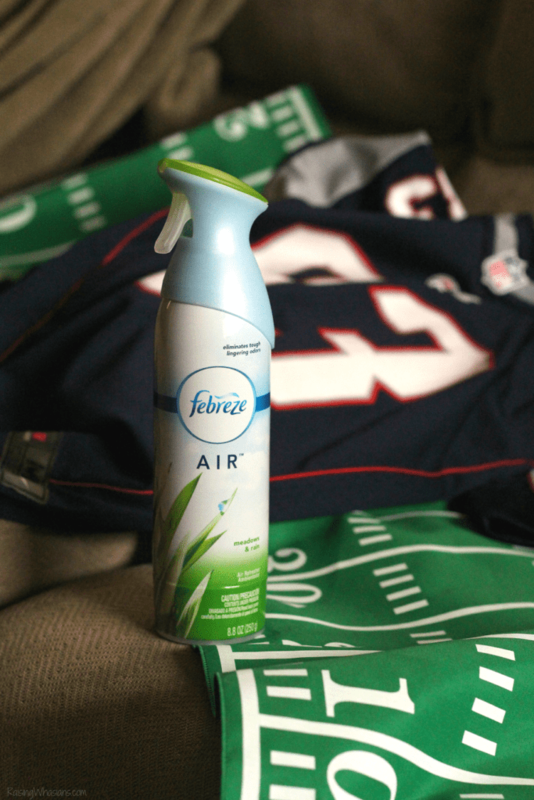 I’m keeping my game day party fresh before, during and after with the odor-eliminating MVP of the party, Febreze AIR. 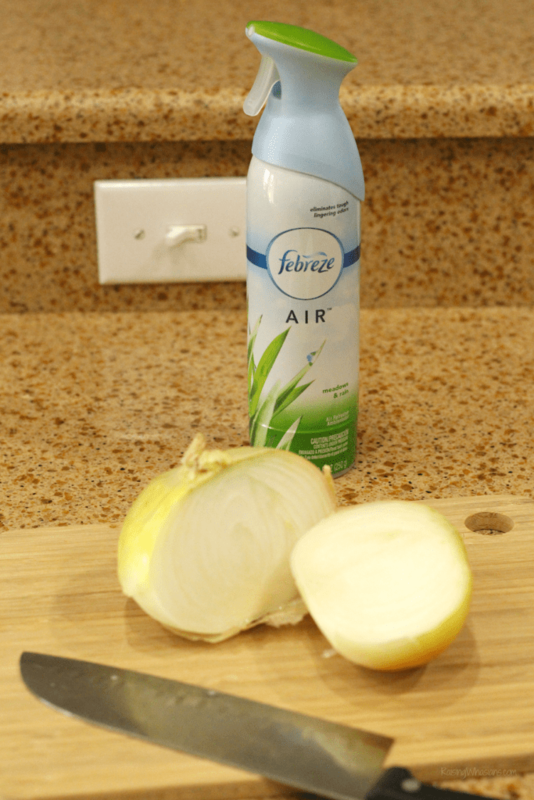 Before: I keep a bottle of Febreze AIR handy in the kitchen, especially when simmering my famous game day chili! No need to stink up the house with garlic and onions before my guests arrive. I keep my kitchen smelling fresh with a few sprays after cooking. After: What else can you expect during big games? Lots of potty breaks! I always want my guests to feel at home when they’re here, even in the bathroom. I make sure a bottle of Febreze AIR is readily available for them to eliminate any post-game smells. Can’t have those lingering! And, it comes in super handy when the party is done, so not only does my home look clean, but it smells nice and clean too. Keep It Simple – No need to slave all day! Go for easy finger foods, fan favorites, snack foods, heat-and-eat dishes so you can focus on more important things, like having a good time! Go for Variety – Keep the party spread balanced: sweet and salty, crunchy and soft, dips and heavy appetizers, desserts and main dishes. 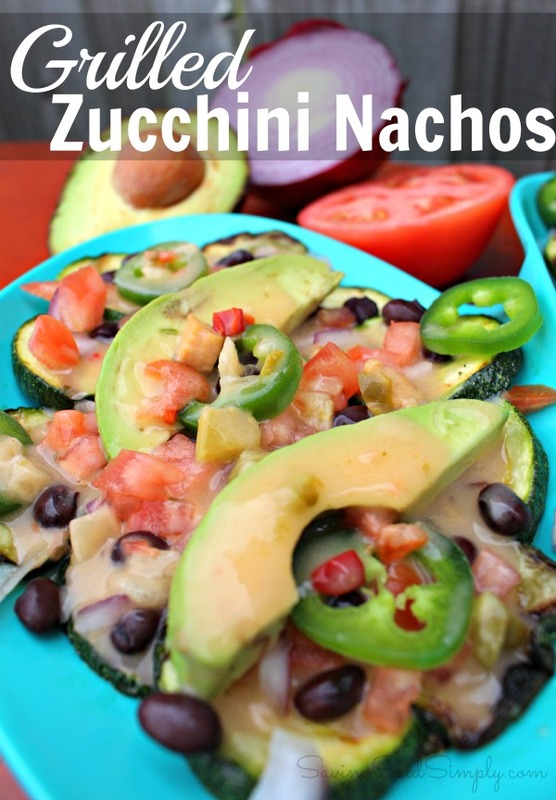 Food Swap – Amp up your food game by mixing it up! Bring out new dishes and swap players between quarters to keep your food spread interesting and appealing all game long. Prep Ahead – Want to cut down on party prep madness? Do as much as you can the days before: cut up veggies, freeze your famous chili, have appetizers ready to bake on cookie sheets! Ask for Help – Don’t be afraid to ask your party guests to bring their favorite football dish to share. Not only are guests usually very willing to help out, you can find some new favorite dishes for your next football gathering! Who needs forks? A little festive decor can go a long way, and if you’re a last minute planner like me, you don’t have to go crazy to have a party worth appreciating. 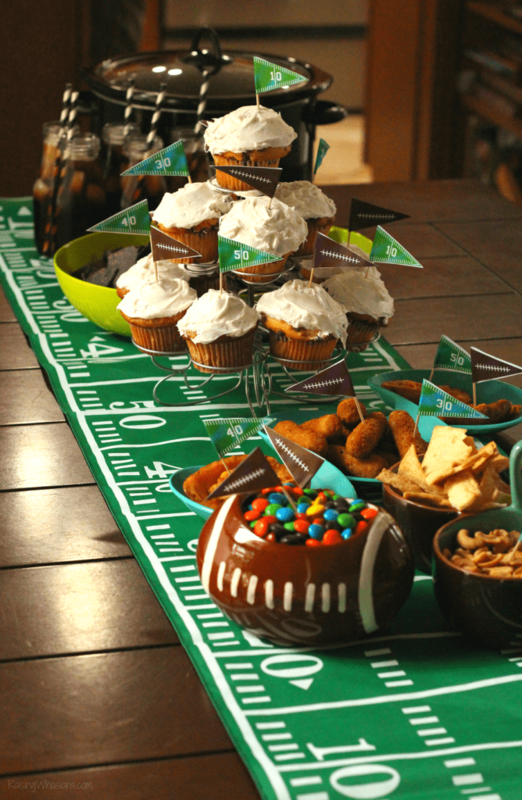 Put away those utensils and grab your FREE Football Toothpick Flags Printable for an extra fun touch to your game day spread. Just click the image above to print, cut and wrap the flags around toothpicks for easy grab-and-go during your next football party – no forks required! They also make great dessert toppers too! How cute are our game day cupcakes? 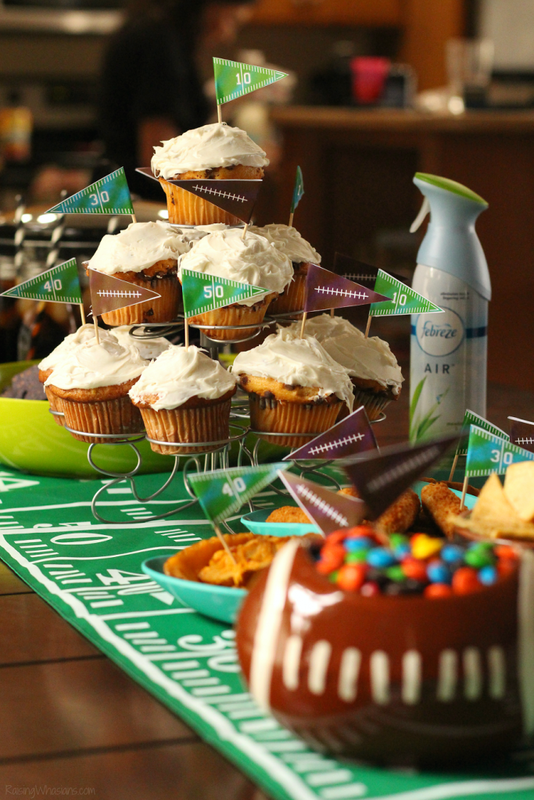 Such an easy and fun way to step up your game, I love how these FREE Printable Football Toothpick Flags enhance our ultimate football party! Bonus: less mess and easy clean up! The Big Game is just around the corner. And you don’t want to be caught without the odor-eliminating MVP, Febreze. Get a head start on all of those hilarious commercials and watch what happens when you host a football party WITHOUT Febreze, starring Terrell Owens. Are you ready for some football? It’s bowl season – and the best time to host the ultimate football party. Don’t forget to make your party extra memorable and fun with these easy tips (did you add Febreze to your shopping list yet?) 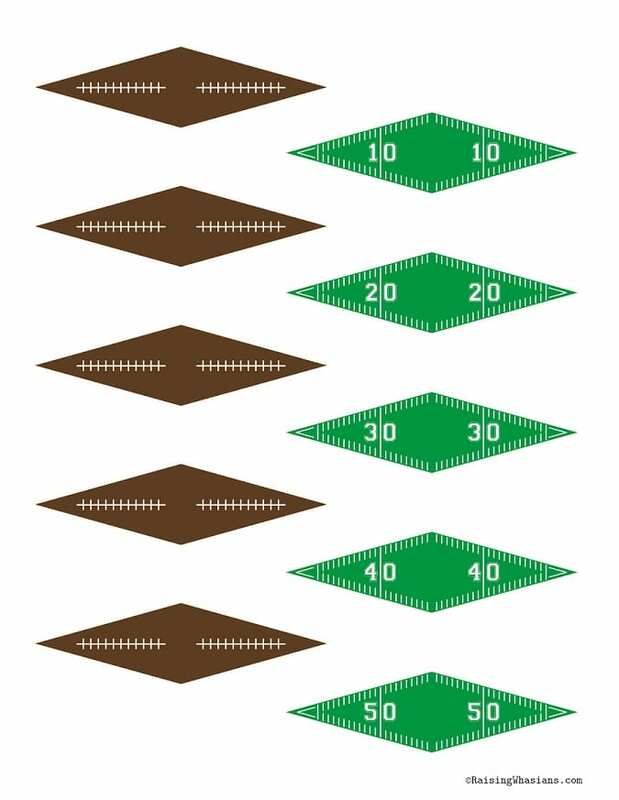 and these FREE Printable Football Toothpick Flags. Now can someone pass me the potato skins and chili? 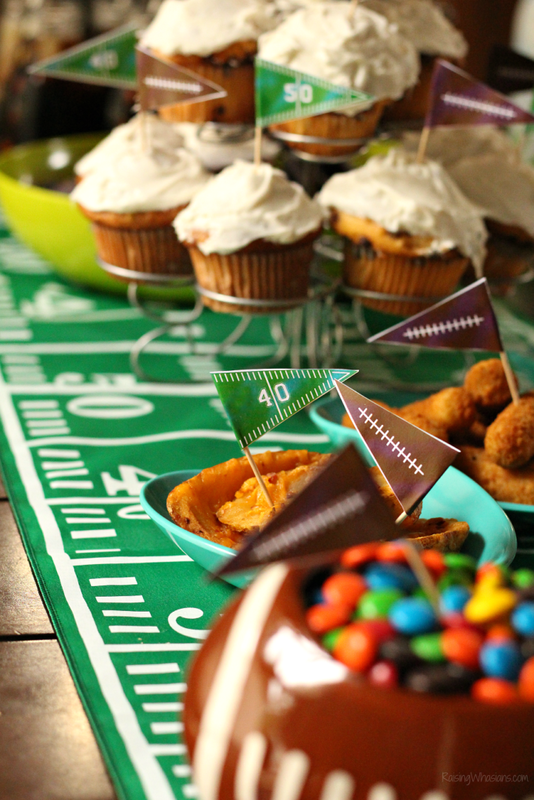 What’s your best tip for hosting the ultimate football party? Be sure to follow Raising Whasians via Facebook, Twitter, Google, Instagram, Pinterest and YouTube for free printables, easy family recipes, kid craft ideas, travel and more. 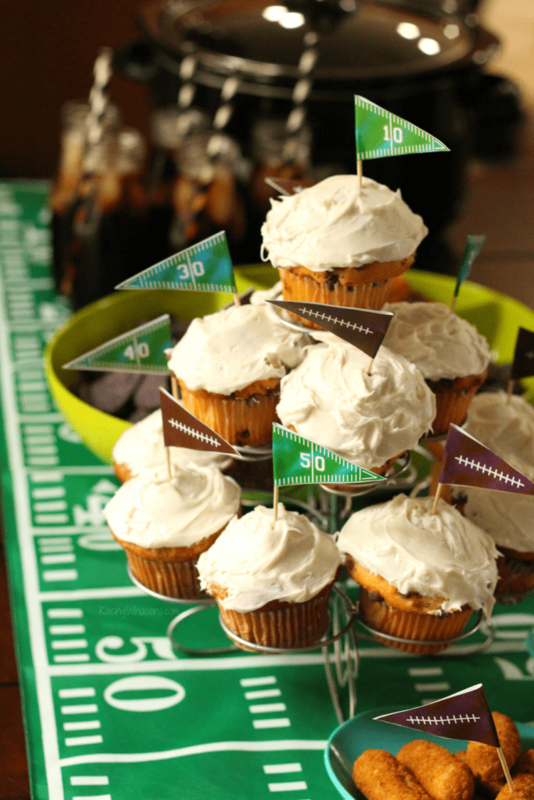 Looking for more football party ideas? 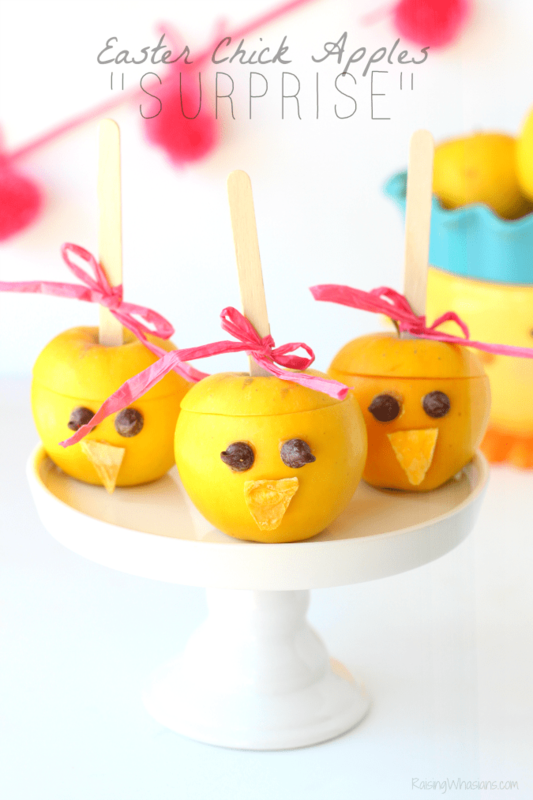 These are so cute and really complete the look of your party table!